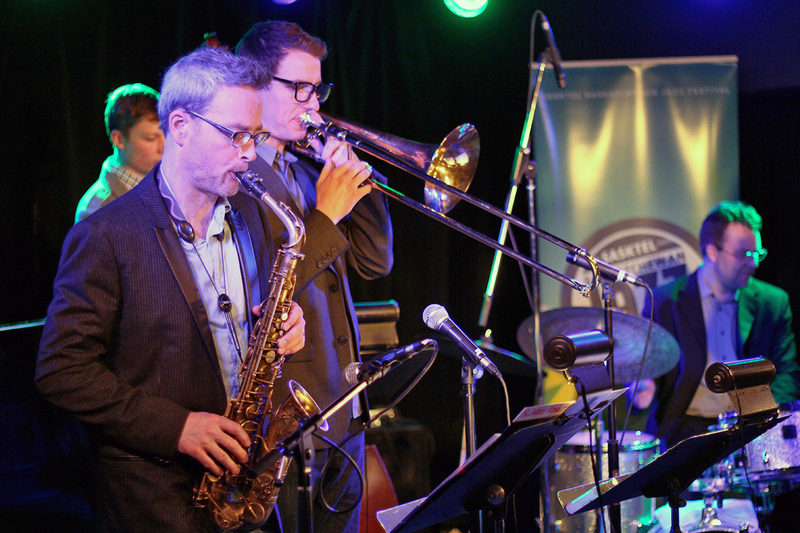 April 30 was International Jazz Day and cause for celebration at the Bassment club in Saskatoon. 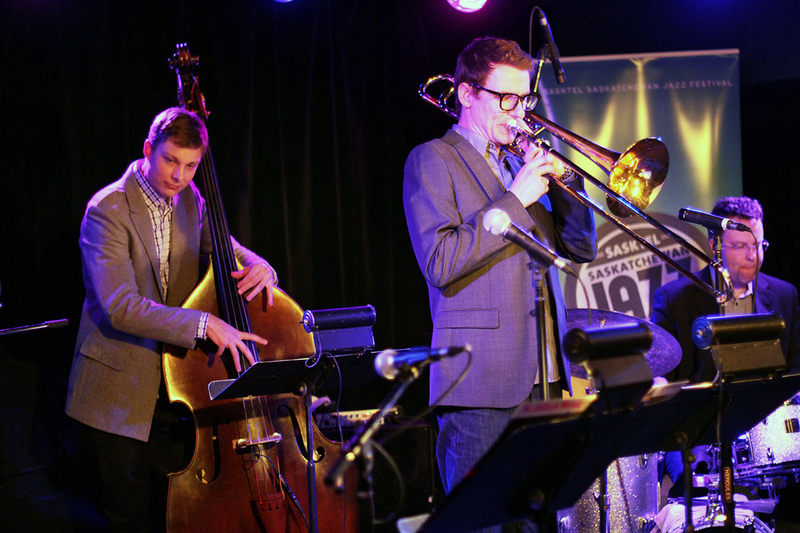 The Story of Jazz was a special concert hosted by Mark DeJong that paid tribute to jazz’s unique culture, history and language. This post is a collection of images from that concert. 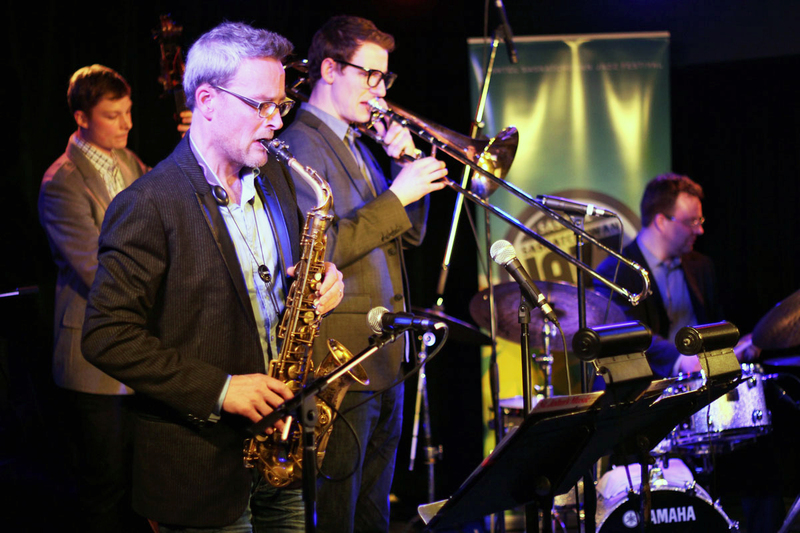 DeJong and his bandmates will soon be touring around the province in preparation for the Saskatchewan Jazz Festival, which gets underway in Saskatoon on June 21. The Story of Jazz. 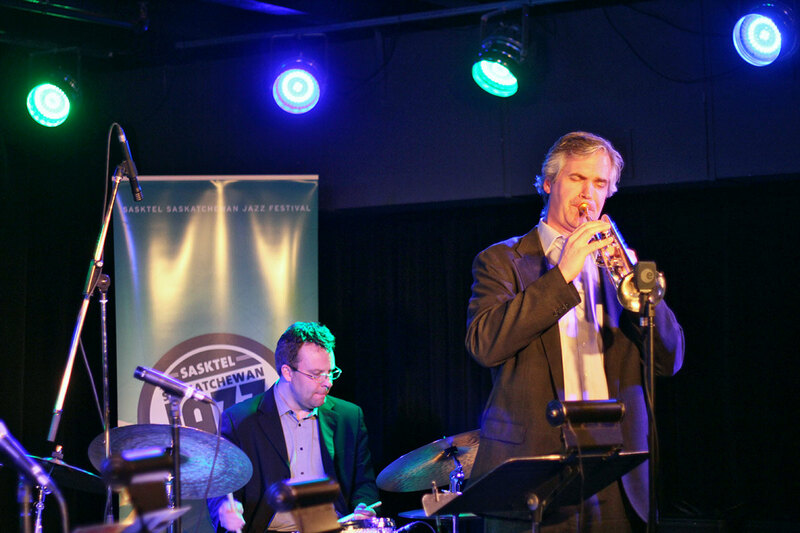 Saxophonist Mark DeJong was joined on stage by Dean McNeill on trumpet and Carsten Rubeling on trombone. Photo taken Tuesday, April 30, 2013. The Story of Jazz. 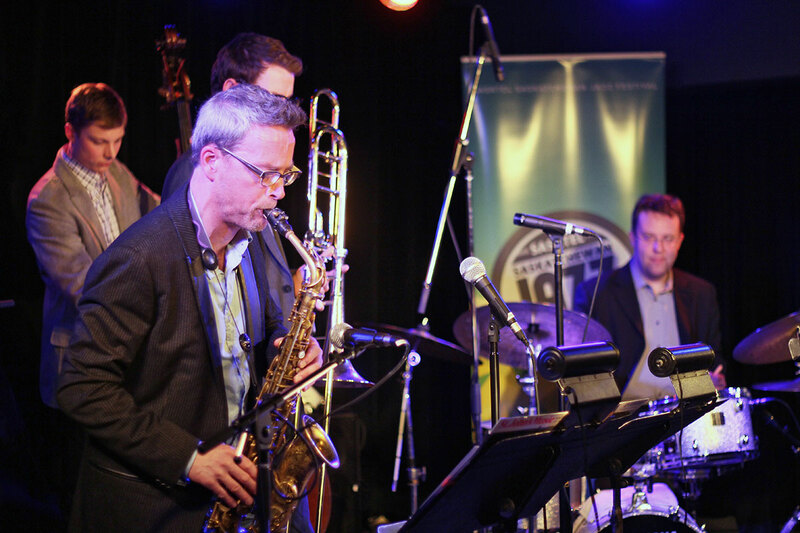 Saxophonist Mark DeJong was backed up by Soren Nissen on bass, Jon McCaslin at the drumkit, and Carsten Rubeling on trombone. Photo taken Tuesday, April 30, 2013. 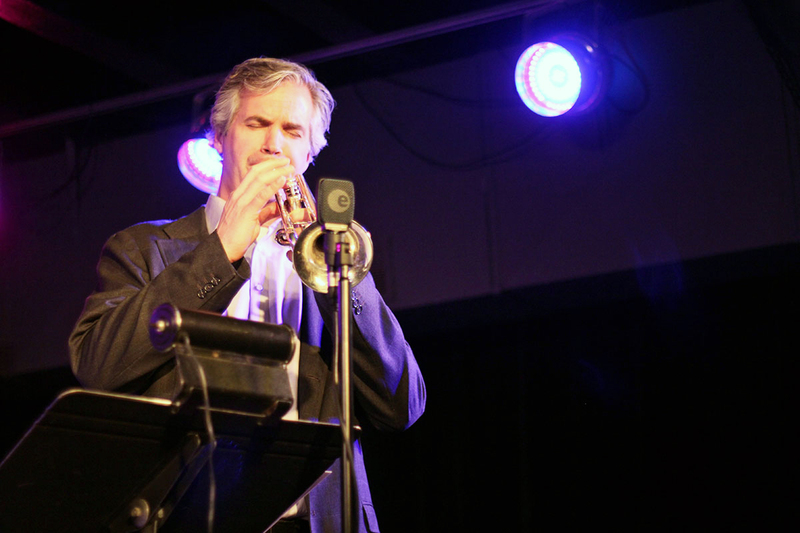 Dean McNeill takes a trumpet solo at the Story of Jazz. Photo taken Tuesday, April 30, 2013. The Story of Jazz. 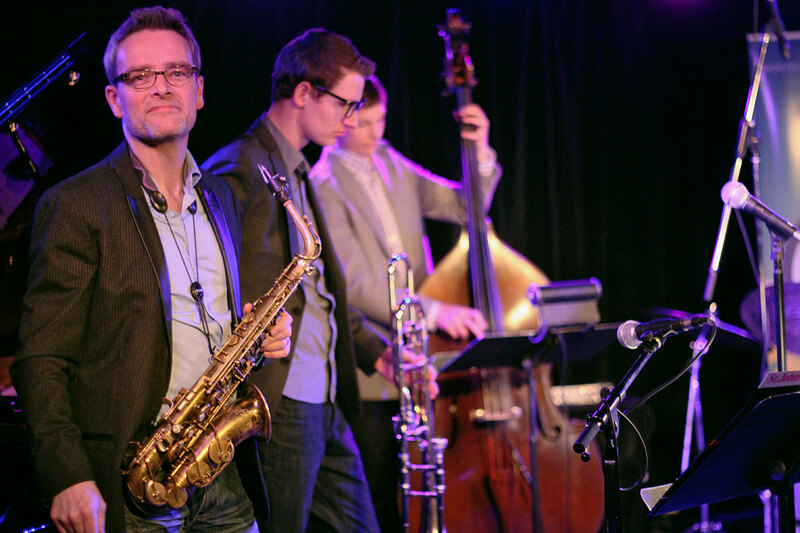 The event was hosted by Mark DeJong, a saxophone player and instructor at Mount Royal University in Calgary. Photo taken Tuesday, April 30, 2013. The Story of Jazz. 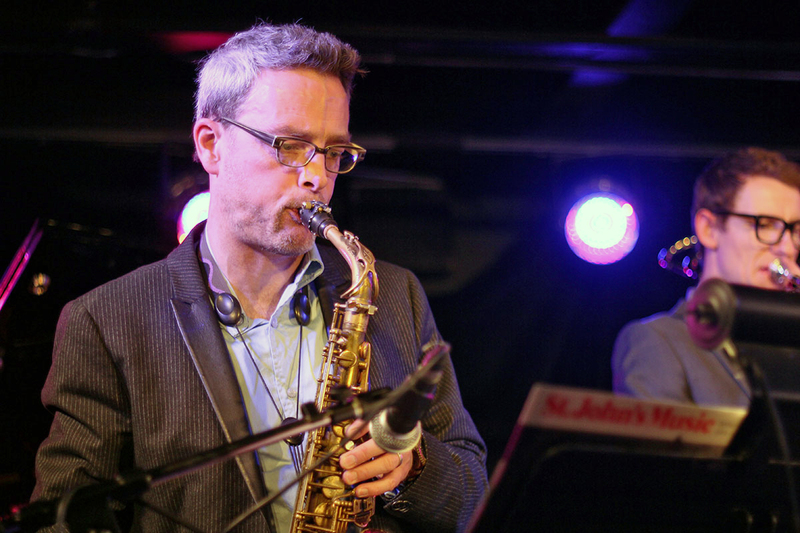 Bassist Soren Nissen and drummer Jon McCaslin play on as Carsten Rubeling solos. Photo taken Tuesday, April 30, 2013. The Story of Jazz. 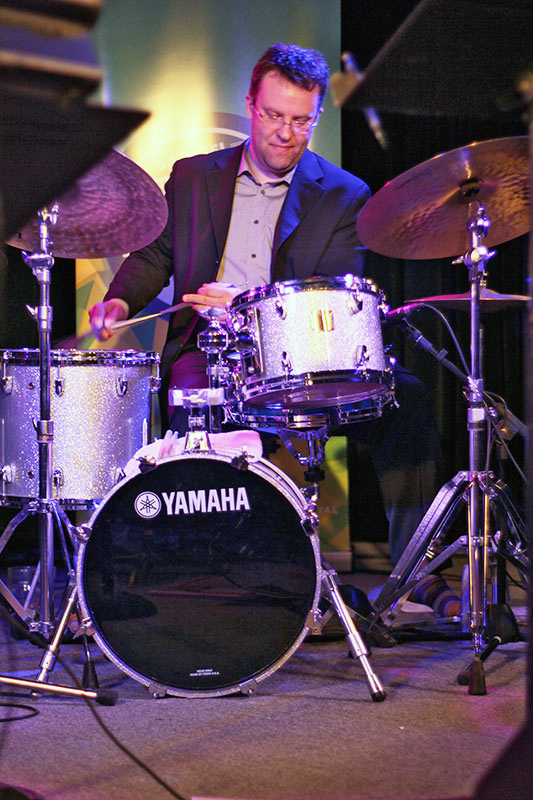 Drummer Jon McCaslin kept the quintet on time as they explored the history of jazz. Photo taken Tuesday, April 30, 2013. The Story of Jazz. 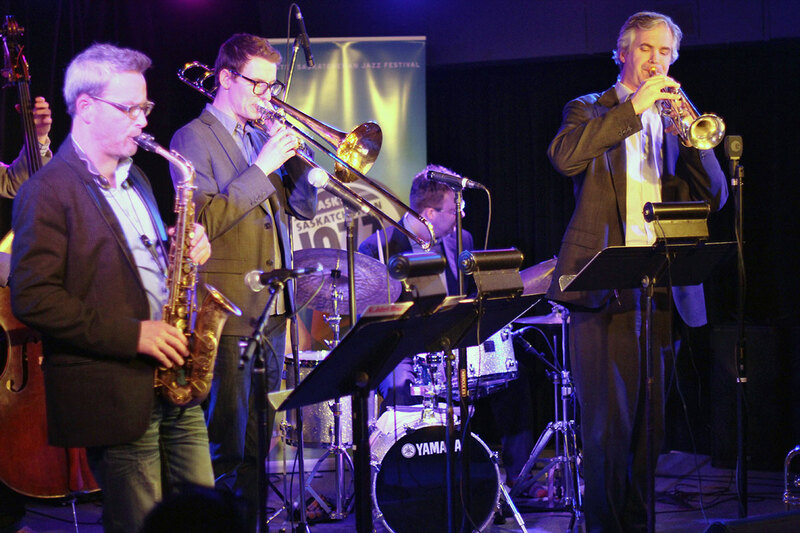 Mark DeJong was joined by Soren Nissen on bass, Carsten Rubeling on the ‘bone and Jon McCaslin at the drum kit. Photo taken Tuesday, April 30, 2013. The Story of Jazz. 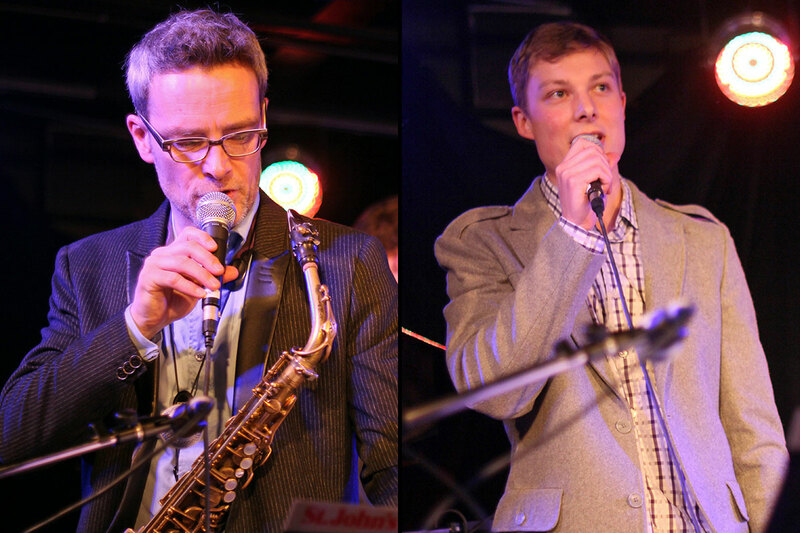 Mark DeJong, Carsten Rubeling, and Dean McNeaill look over the audience at the Story of Jazz. Photo taken Tuesday, April 30, 2013. The Story of Jazz. Mark DeJong taking a solo, baked up by Soren Nissen on the bass and Jon McCaslin at the kit. Photo taken Tuesday, April 30, 2013. The Story of Jazz. Dean McNeill taking a solo, backed up by Jon McCaslin on drums. Photo taken Tuesday, April 30, 2013. The Story of Jazz. 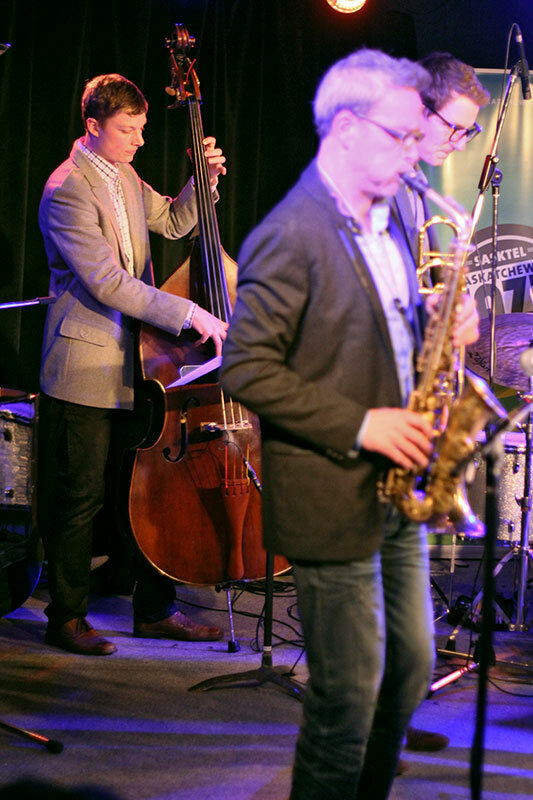 Soren Nissen holds it down on the bass at the Story of Jazz. Photo taken Tuesday, April 30, 2013. The Story of Jazz. 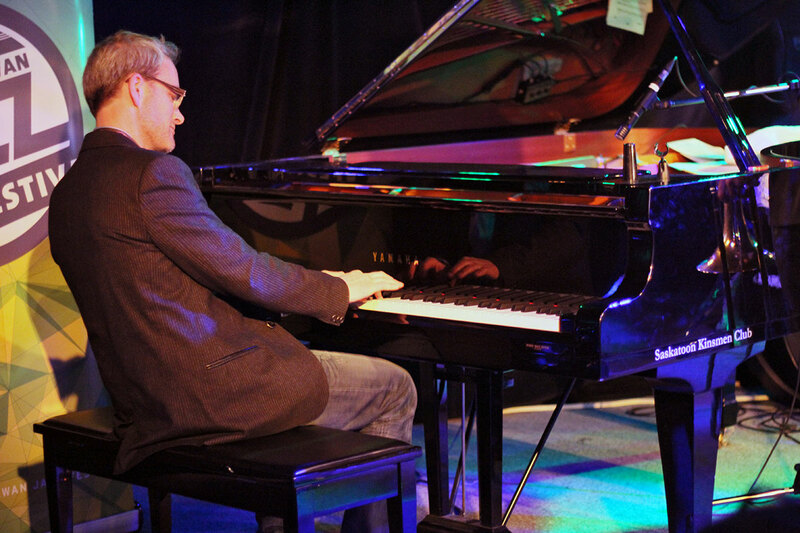 Mark DeJong and Soren Nissen, as well as their bandmates, took time to discuss their musical influences during breaks between songs. Photo taken Tuesday, April 30, 2013. The Story of Jazz. 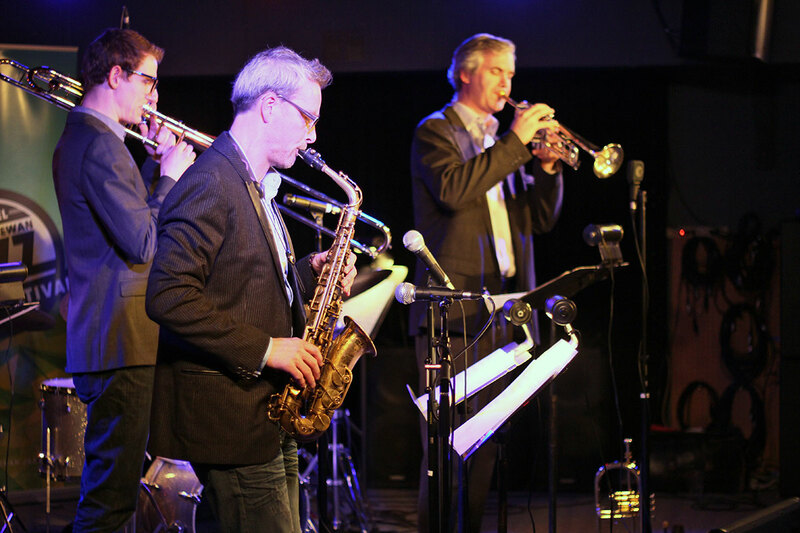 The horn section collectively improvises during the Story of Jazz. Photo taken Tuesday, April 30, 2013. The Story of Jazz. 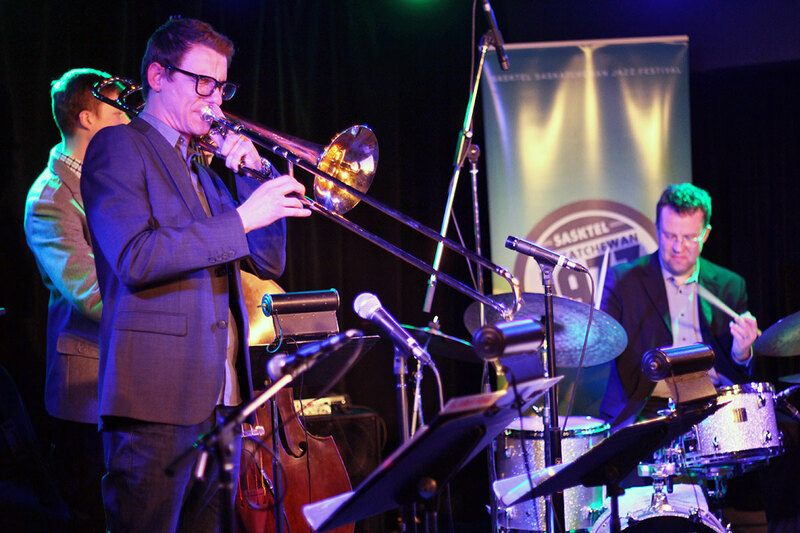 Trombone player Carsten Rubeling blowing his heart out at the Story of Jazz. Photo taken Tuesday, April 30, 2013. The Story of Jazz. 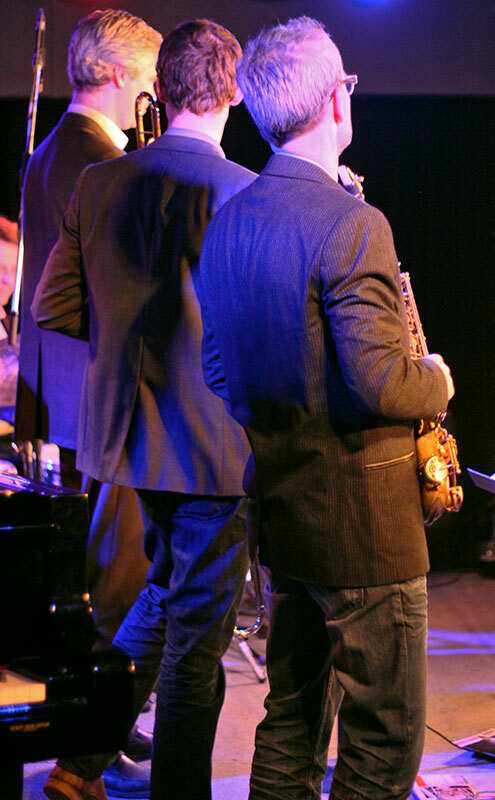 Each member on the horn section accompanied the band on the piano for a chorus or two. Photo taken Tuesday, April 30, 2013. The Story of Jazz. Mark DeJong similes as he looks out over the audience at the Bassment. Photo taken Tuesday, April 30, 2013.